Table for 1200 More | What Next? On Saturday evening when Dave and I came home from a visit with friends this scene greeted us just outside the front door of our condo. People were having dinner all up and down Rorie street stretching from the Manitoba Theatre Centre to the Richardson Building. I posted a picture on Instagram and one of my cousins who was attending the event told me it was called Table for 1200 more. 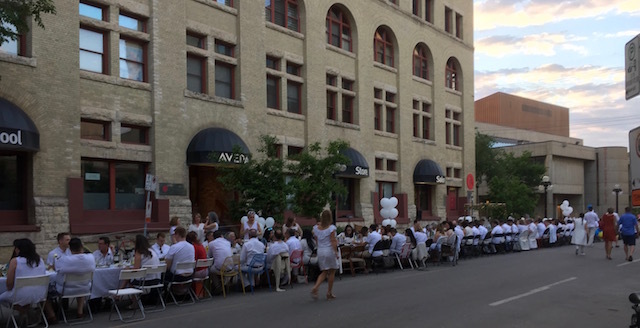 It is a dinner for 150 tables of eight that brings people together to talk about and celebrate architecture, culinary expertise and design culture in Winnipeg. The food is prepared by chefs Mandel Hitzer and Ben Kramer . 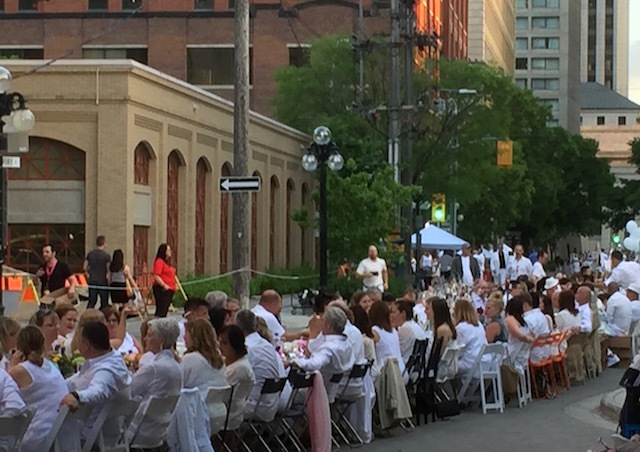 Guests who had paid $100 for their tickets had been asked to dress in white and weren’t told where the dinner would be held till just an hour before it started. Each group of eight had decorated their own table and there were prizes for the best table designs. According to the Free Press the menu consisted of seven courses, including quinoa, marinated mushroom salad, meatballs and Greek style baby potatoes. 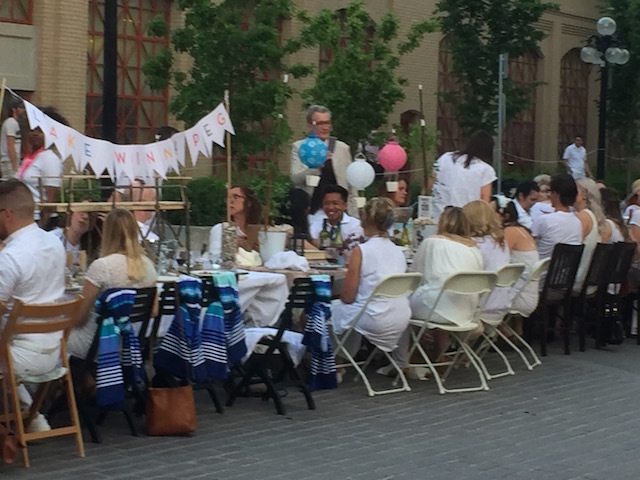 From photos online I noticed previous Table for 1200 More events had been held on the grounds of the Manitoba Legislature, and on the Provencher Bridge. One reason I like living in the Exchange District is you never know what you might find when you walk out your front door. Someone could be filming a movie. A guide could be taking international tourists on a history walk. A street performer could be juggling or playing music. 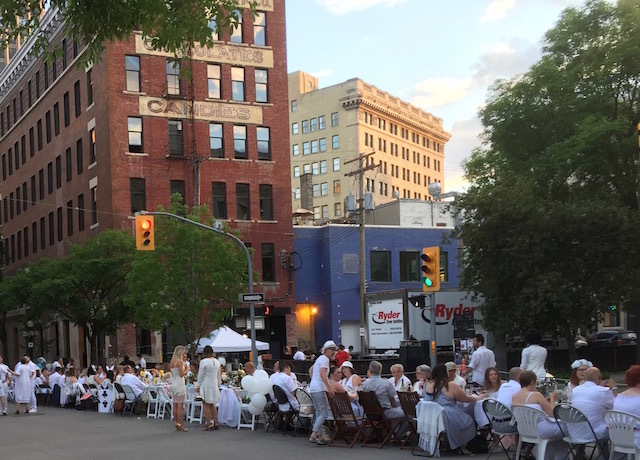 A bridal party might be posing for wedding photos or………….. there could be 1200 people having dinner on your street.